Overwatch – or, where has my hacking time gone? While Overwatch isn't a security related topic, it is an explanation of where some of my hacking time has gone. For those of you who haven't heard of Overwatch, you've definitely been missing out. Overwatch is an FPS from Blizzard with a number of MOBA elements. There are classes, characters, and various powers/skills. I have about 48 hours of playtime at this point in competitive, and I'm definitely starting to get the hang of it. I'm currently platinum rank, but hoping to at least get diamond before the end of season 2. 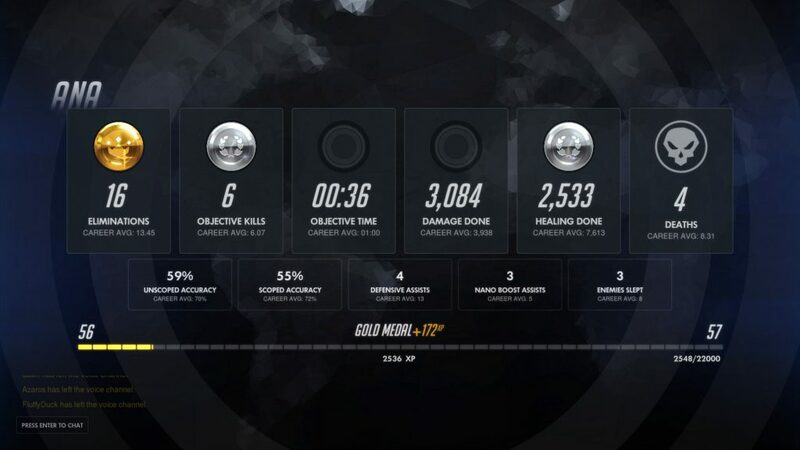 Of course, competitive has been a rollercoaster of emotions, especially with the amount of solo play I do. 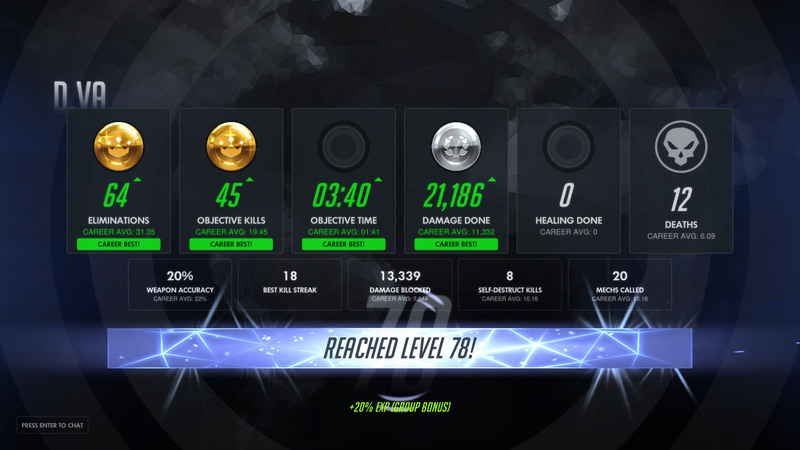 Here is a link to my Master Overwatch profile, and one to my Overbuff profile. I definitely end up playing tank/support more often than not, but I prefer to play Reaper/occasionally McCree if I can. I'm picking up Ana now, and she is definitely making solo queue far more enjoyable. I've uploaded a number of matches that I've played to a Youtube playlist. I would love likes, comments, subscriptions, or critiques from anyone even vaguely interested in the game. I have also been (slowly) working on a montage, but I still need to decide on songs to use and clips to use. This is also something that will take me some time, as my editing skills are fairly rudimentary. Plus, it's always fun to carry a game as Ana.